Dimensions : Ø 60 cm - Ceiling rose: Ø 8 x H 2.5 cm - Cable: L 170 cm max. 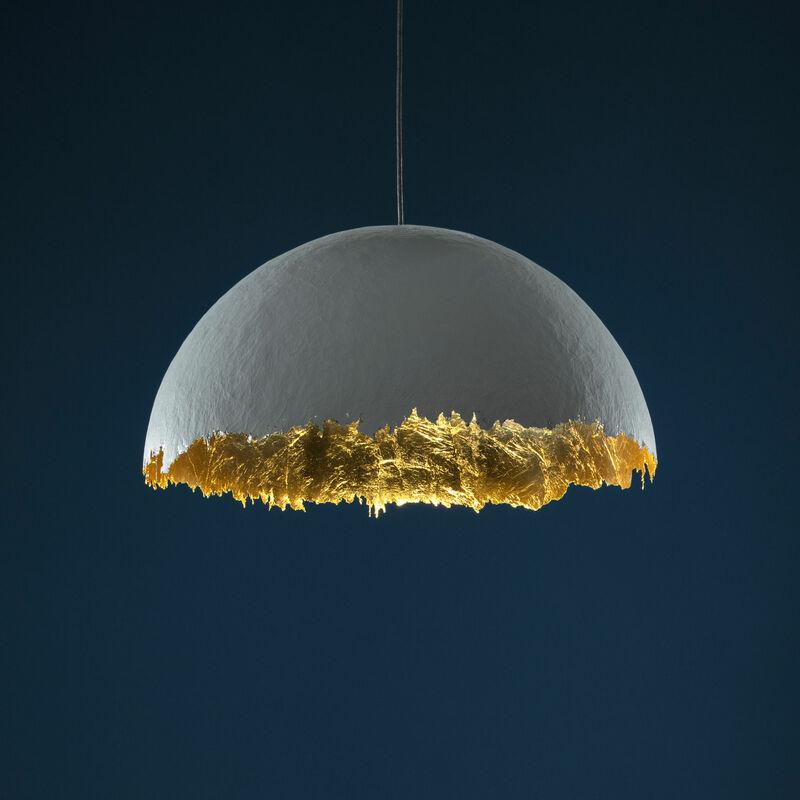 The PostKrisi pendant reveals designer Enzo Catellani’s fascination for fibreglass. Incredibly versatile, this fibrous material stands out for its durability, but in particular for the play of shadows it creates when it interacts with light. A true light sculpture, this pendant dresses your home with its singular, dreamlike presence. PostKrisi is the result of a remarkable study of form and material. It consists of a fibreglass shell. The outside is painted white while the inside is covered with hand-applied gold leaf. This meticulous craftsmanship brings to life a beautiful, irregular texture that plays with reflections and light. Its indirect lighting is golden, warm and pleasant. The light reflects and shines inside the shell. 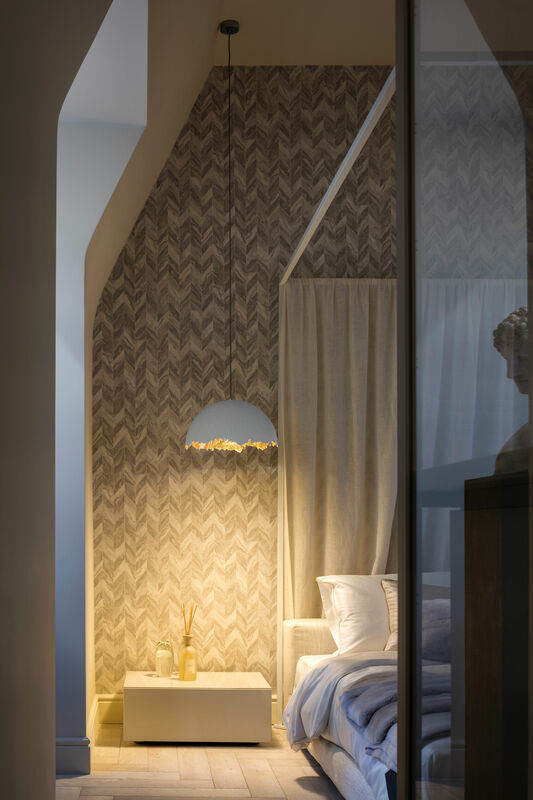 Once lit, PostKrisi bathes the walls with soft light, great for creating a relaxing atmosphere. This lamp provides a new quality of light:	zen lighting that invites contemplation and reduces tension in the space it illuminates. Catellani & Smith’s production output is mainly artisanal. These lamps are hand-made by different craftsmen. Each lamp is subjected to rigorous control which ensures its quality. Small imperfections are not a defect but rather a feature of manual work.